why are we collecting diapers? They are expensive! Today 1 in 3 families struggle to provide diapers for their children. The average child will use more than 2,700 diapers in the first year alone, which can add up to more than $550 (based on an average price of $0.20 per disposable diaper). For too many, cloth diapering isn’t an option. Most day care centers will not accept children without providing disposable diapers. They can not be washed in most public laundromats, and the can not be used in homeless shelters group-residential facilities. Today 63% of average families couldn’t afford a $500 emergency. A one-earner couple working for the federal minimum wage of $7.25 per hour would need to work 60 hours a week, well over the standard 9-5 workday to which most Americans are accustomed. According to a 2010 USDA report, the average middle-income family will spend roughly $12,000 on child-related expenses in their baby's first year of life. By age two, parents are up to more than $12,500 per year. Lack of access to diapers and supplies can cause children to get sick, and force families to skip work in order to care for their infant or toddler. Only 13% of Minnesota workers have paid family and medical leave through their employers and access is unequally distributed with differences by race and ethnicity, earnings levels, and work schedules. Further, about 1.1 million Minnesota workers do not have the ability to earn sick leave. And for many of those workers, one or two days of lost wages can mean difficulty paying the rent, their family's transportation or child care costs. ​Unable to afford diapers, they are forced to choose between a range of undesirable alternatives such as cutting back on basics such as food, utilities or child care in order to purchase diapers for their children. That is why we started Operation Baby New Year, to make sure we are raising awareness about the need for diapers and providing resources for local organizations, agencies, programs, shelters, and food shelves that service thousands of families in our area. With your support, we can make sure that there are enough diapers to support our tiniest residents this holiday season. We are excited announce our annual holiday diaper drive, "Operation Baby New Year" beginning on December 4th 2018 through January 1st 2019! During the holiday season over the last three years, Operation Baby New Year has been a huge success! Our volunteers and community partners were able to raise over a whopping 500,000 diapers! Follow the links at the bottom of the page to learn more about where you can drop off your diapers donations for the 2018-2019 drive, upcoming diaper drive events, the organizations we are supporting, and how YOU can can help cover the butts of central Minnesota's tiniest residents! Learn where and how you can drop off diapers near you! Can't drive? Too far? Purchase diapers online and have them shipped right to the drop site! Would your church or business like to help spread awareness through your networks? Are you an individual looking to get more involved? Contact us to find out how! 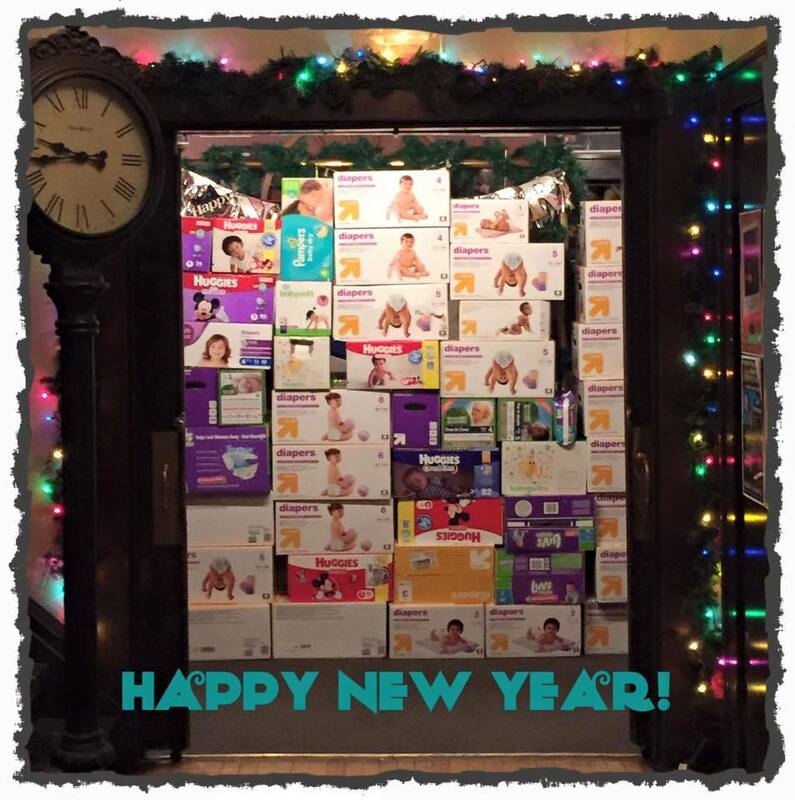 Find out more about the organizations our diapers are going to, and how you can support them in 2016!